Fantastic! 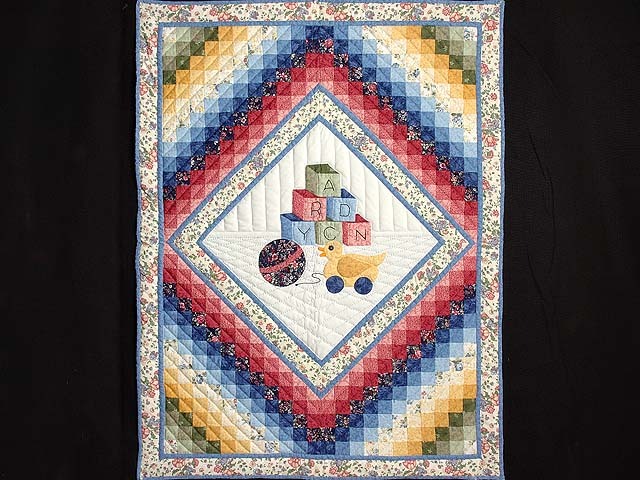 Center diamond with attractive applique work surrounded by gorgeous Trip Around the World patchwork. 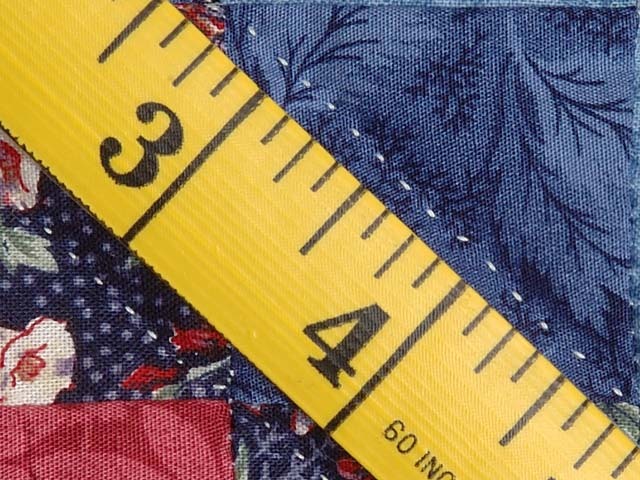 The sash and border print is very nice. 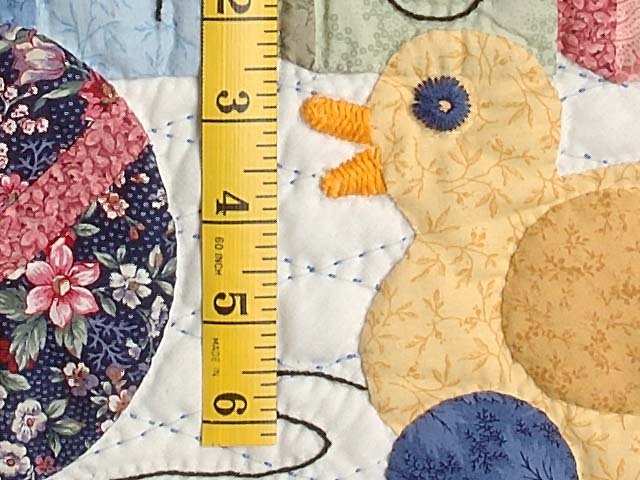 Made by local Amish woman who has included her initials in ink on the back of the quilt. 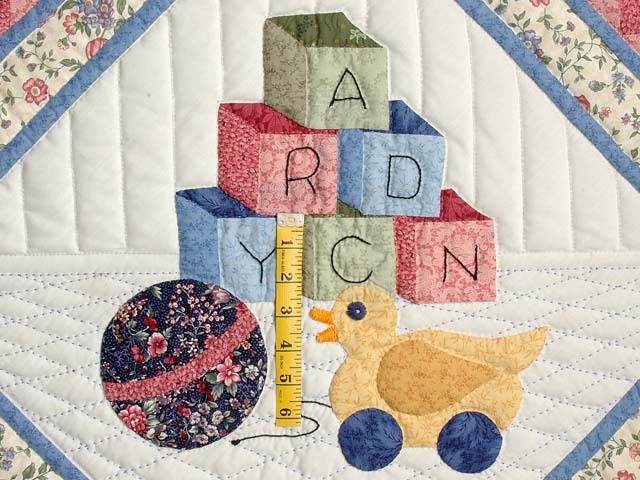 The baby that is given this delightful quilt will be a lucky duck too! Nicely made by Amish grandmother who has signed her name in ink on back. 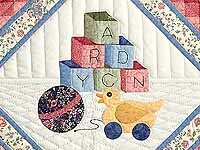 Be sure to notice all the perfect hand embroidery and very fine hand quilted stitches. 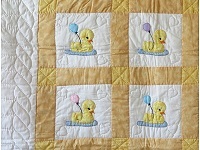 The fabrics are a pretty yellow, white and cream. 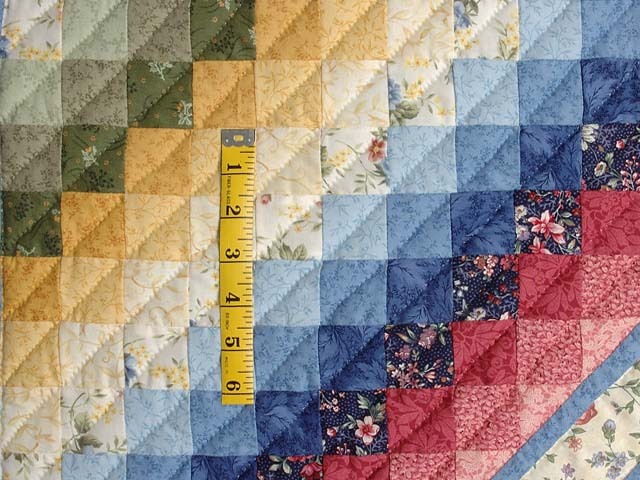 The back of the quilt is covered with a cream colored fabric. 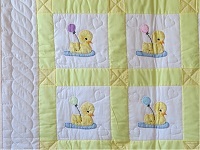 The baby that is given this delightful quilt will be a lucky duck too! Nicely made by Amish grandmother who has signed her name in ink on back. 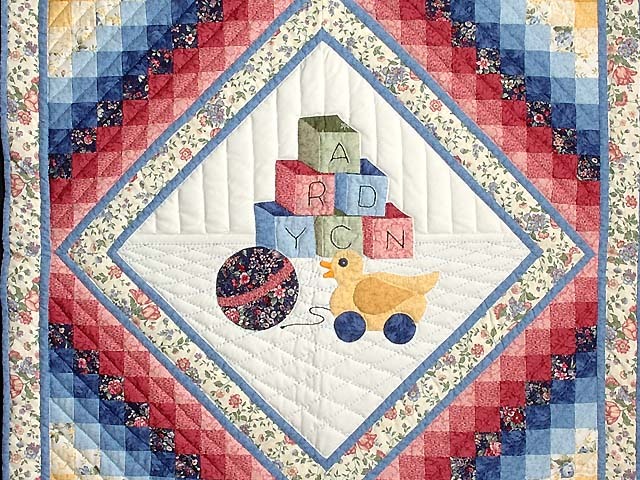 Be sure to notice all the perfect hand embroidery and very fine hand quilted stitches. 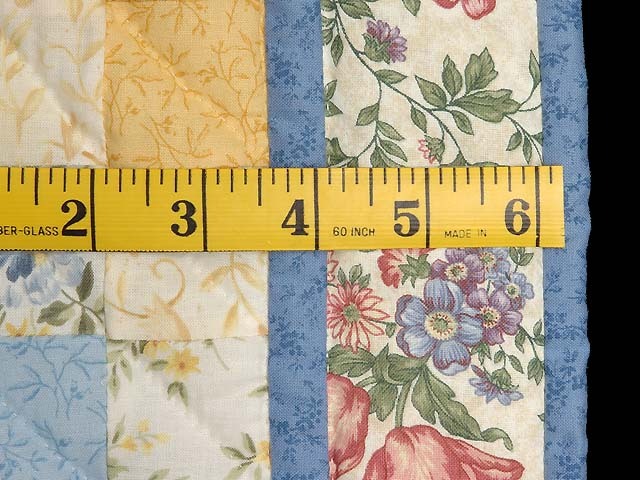 The back of the quilt is covered with a natural colored muslin fabric.